« Wordless Wednesday ~ My Daughter’s Excited Reaction to Watching Sesame Street! Buy Stonz Wear this October and Help Children in Hospitals Across the U.S. and Canada! 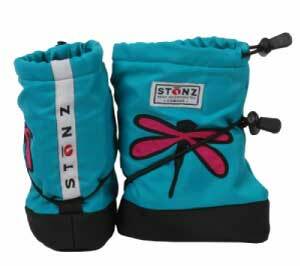 As winter nears, Stonz wants to ensure that babies in need are staying warm and dry. For the entire month of October, for every pair of Booties sold, Stonz will donate an unused pair of booties to Children’s Hospitals and Hospitals across Canada and the US. Our goal is to provide new parents with an essential product for the upcoming cold-weather season, making sure that newborns stay warm, healthy, and protected against the elements. Check back soon as this list will grow! Start shopping Stonz Booties so you can buy for a cause. Want a Great Deal on Halloween Costumes? Get Your Savings Here! These Deals Expire 10/31!